Observation - Is this a sparrowhawk? - UK and Ireland. Description: Is this a sparrowhawk? It's eating a wood-pigeon that it caught. Is this a sparrowhawk? 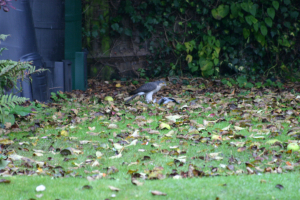 It's eating a wood-pigeon that it caught.